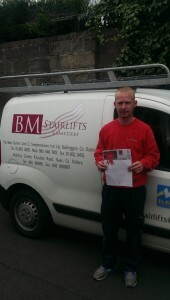 Big welcome to the company to Keelan Noone, the newest addition to the BM Stairlifts team. Keelan has just returned from an extensive Otolift training programme in England and as you can see from the photo below, his hard work and dedication has paid off! A pay rise is in order!! Well done Keelan and best wishes in your career with BM STairlifts. Stair Lift Installation - Whats Involved?